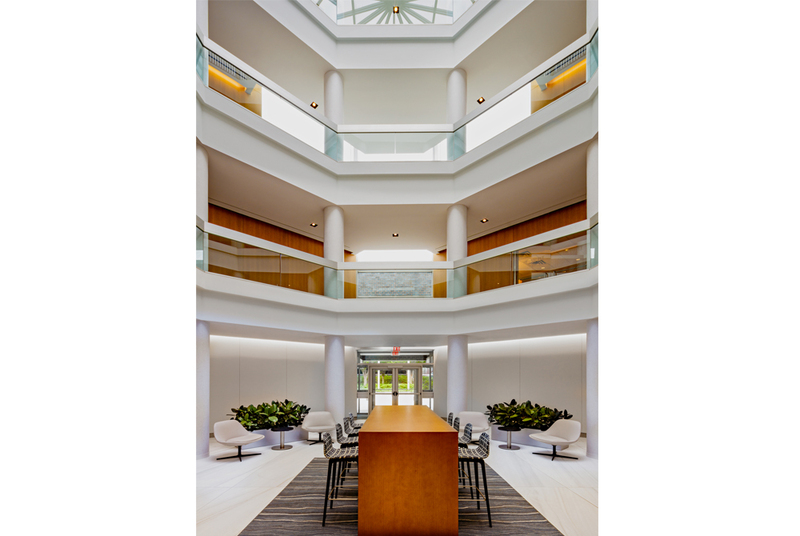 Rotwein+Blake was tapped to transform the 4-building complex at River | Centre in Red Bank, as part of Mack-Cali Realty Corporation’s $50 million campaign to upgrade and reposition their suburban office portfolio assets. 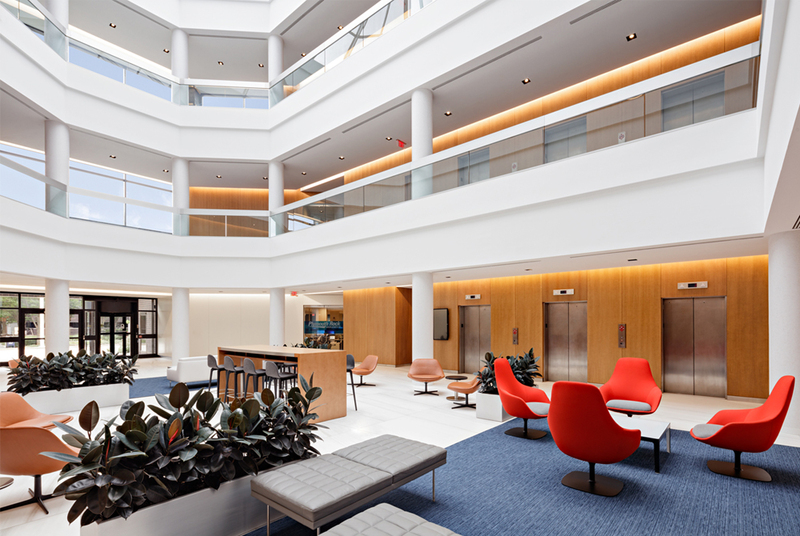 The recently completed redesign of River | Centre included the enhancement and modernization of entryways, lobbies and common areas for buildings 1, 2 and 3. 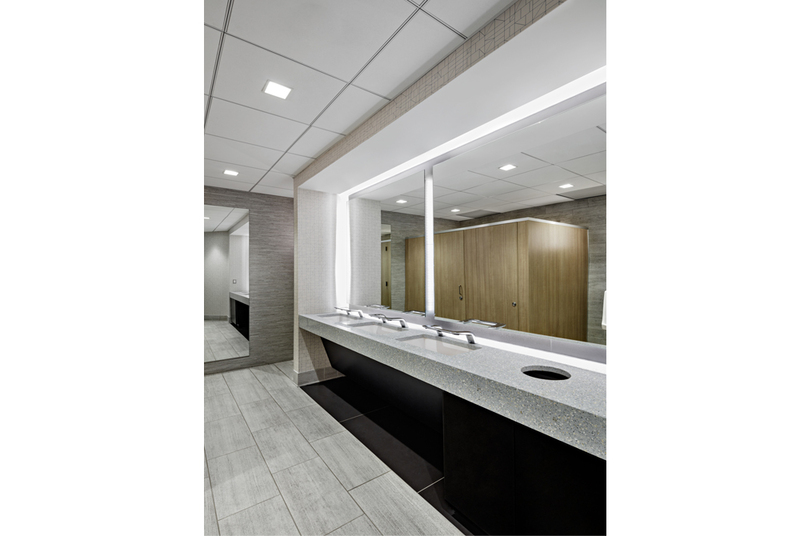 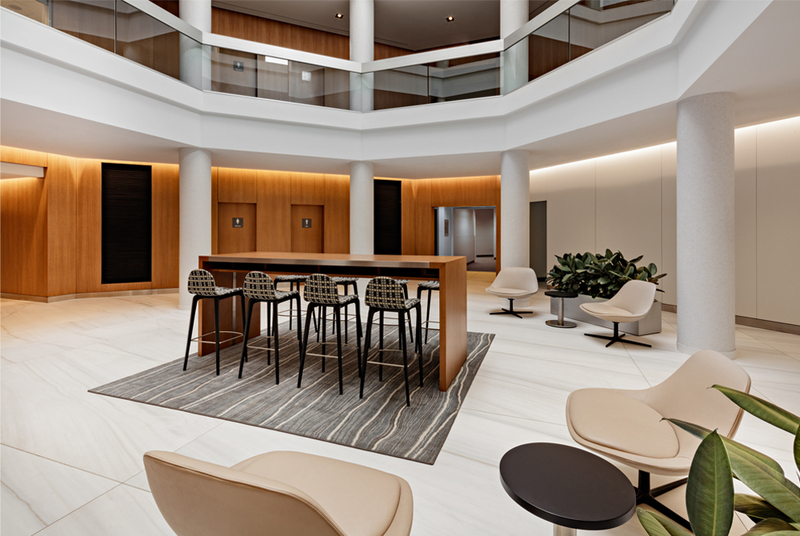 Modern finishes, cool LED Lighting and a warm color palette create a bright, inviting setting that activates the once dark and dated atrium as an environment that promotes connection and collaboration amongst tenants and visitors alike. 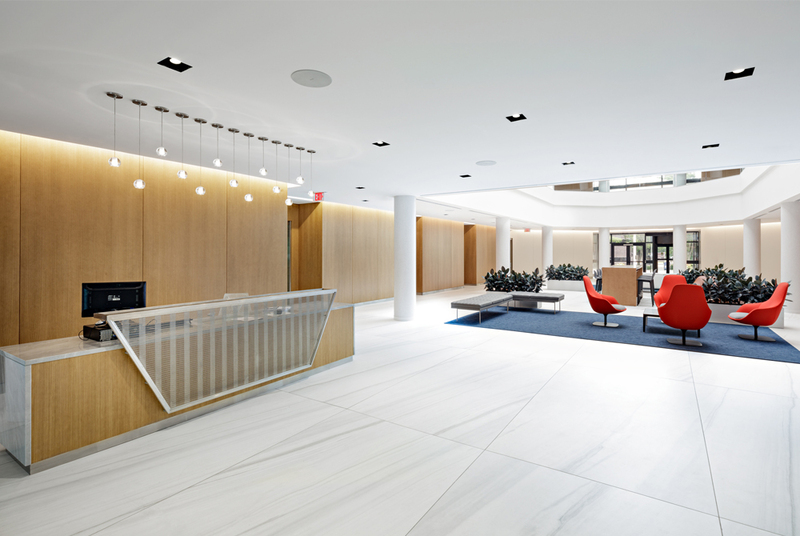 A custom textured metal and stone reception desk anchors the south end of the lobby at building 3, for tenant and visitor check-in. 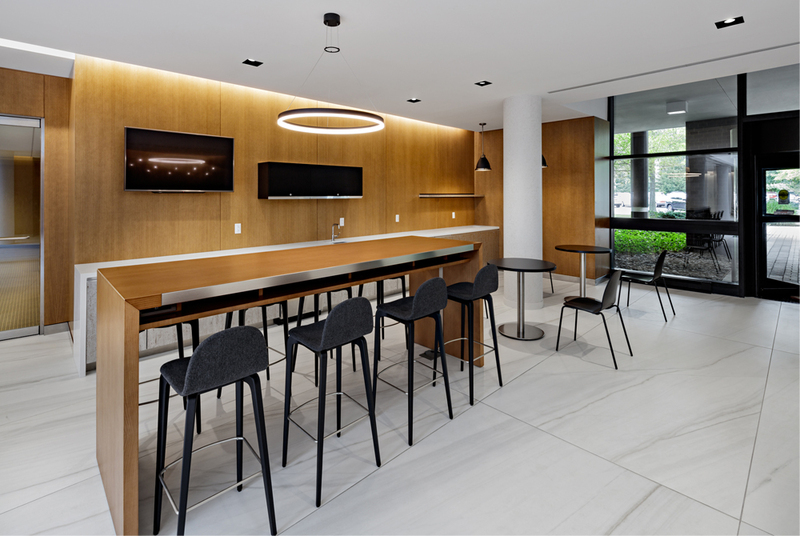 Reinforcing the tenant experience, is a concierge-type service station/ coffee bar for tenants and guests to enjoy.